I think that I'm going to stop posting on this blog, mostly just because I feel like I don't have enough time. I'll obviously still post on my tumblr, which now has Disqus so that you should be able to make comments even if you don't have a tumblr. I'll move my IMM's to there. I won't be deleting this blog, since there are a lot of old posts that I put a lot of work into. So thanks everyone for following and reading! Taken from her family in a Bangkok airport, Gemma finds herself kidnapped by Ty, who has been watching her from afar for years and even knows things about her life that she doesn’t. Drugged by the coffee he bought for her, Gemma finds herself in a dessert in Australia, surrounded only by wilderness. Although she is fearful of Ty, he swears that he just wants a companion and someone to love and be loved by. Although Gemma sees herself as being stolen, Ty believes that he saved her. As time wears on, thoughts of escape occupy Gemma’s days. Unfortunately, the compound where they live is only surrounded by a dangerous wilderness, and there doesn’t seem to be anywhere to run to. When Ty makes a deal with Gemma that if she stays for another six months and still wants to leave he’ll take her to civilization, she gladly agrees. While Gemma cannot imagine not wanting to leave and return home, Ty has hope. Could Gemma actually come to love the man who kidnapped her? 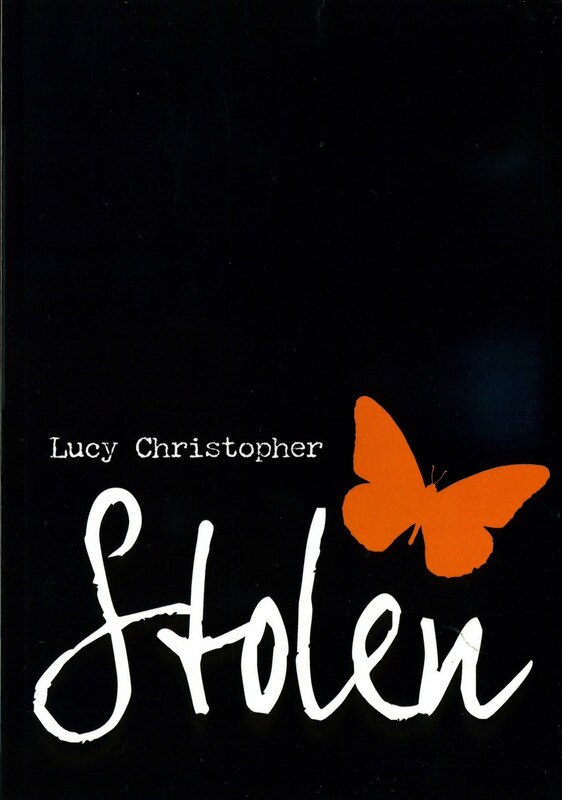 Stolen is told as a letter from Gemma to her captor, written with a raw and honest beauty that makes this book so special. I think anyone who starts to read this book can expect that Gemma will experience some variety of Stockholm Syndrome, but no one ever expects to feel it themselves. Not to say that I was in love with Ty, but I did understand and sympathize with him. 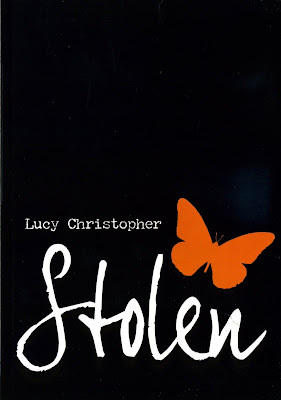 This is just a sign of how strong a writer Lucy Christopher is. The fact that Gemma’s kidnapping is more complicated than it seems, that is was premeditated, is one of the things that makes this so interesting and thought provoking. Everything in this novel, from Ty to Gemma, is more complicated than it seems. The fact that the vast majority of the novel is spent in the isolated compound where Ty and Gemma live might make this novel sound boring, but it was anything but. My one criticism is that it was a bit predictable. However, this book is the kind that will make you think and will stay with you even after the last page, which should be the goal of every writer. Last week I ordered Sapphire Blue by Kerstin Gier, the sequel to Ruby Red. I'm very excited for this one since I loved the first book. The series follows an English school girl who finds out that she carries the gene to be her family's time traveller. The book finally came in early this week, and a day later I found Ruby Red for $5 at Chapters, so I bought it to complete the set. From the library I took out Fodor's Australia and Lonely Planet's New Zealand to look though. My hold on The End Of Your Life Book Club by Will Schwalbe came in, and I'm really excited to read it! This book seems to be one of the 'big things' right now, and I read a tiny bit of it at the library and enjoyed it. 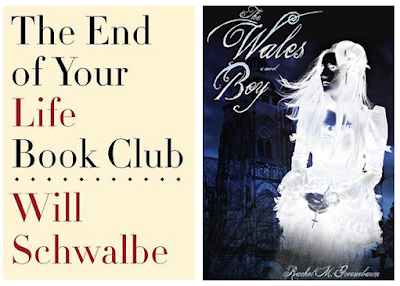 I also recieved a review e-copy from the author of The Wales Boy by Rachel M. Greenebaum. This book looks very interesting and original, based on the description. Once Angelica hears the superstitious stories of The Wales Boy, she dismisses the horror stories and begins to make up her own for fun. Soon, she finds herself a character in one of her stories. When Prince Maxon is ready to find a wife, the country of Illea allows all girls between the ages of 16 and 20 to put their names forward to be selected. One girl from each of the 35 provinces will be chosen to live in the palace and vie for the prince’s affections, allowing him to eventually select his wife with all the world watching. Illea is part of a caste system, and America Singer belongs to the 5th caste, for artists. While she could be worst off, America’s family is often hungry. Being selected means never having to starve, even if you aren’t chosen to be Princess. While entering the competition means half of her worries would be gone, America is in love with Aspen, a servant of the 6th caste. When he insists that she enter, she can’t imagine being randomly chosen; what are the odds? But the selection process proves to be less random than she thought, and America is whisked away to the palace to compete for the affections of the stiff looking Prince Maxon. America wants nothing more than to stay in the competition just long enough to keep her family comfortable, but she soon sparks a friendship with the prince, who she initially misjudged. Just as America might be starting to feel something real for Maxon, Aspen comes back into the picture, bringing with him all of America’s old feelings. While Maxon still has to make his selection, with his feelings and the good of his country playing a role, America has a selection of her own to make. You can’t say the cover for The Selection isn’t beautiful! I wasn’t going to read this book until my friend and I were trying to decide whether it would be good or not, since we couldn’t help but scoff a little at the name America Singer. I decided to read it and find out for the both of us. This book will appeal more to fans of romance than fans of dystopia. I’ve heard it described as ‘fluff,’ which is fair. This book is sort of The Bachelor with a dystopian backdrop. Not to say that it is exactly like The Bachelor; while the girls to interviews, cameras do not follow them everywhere. However, comparisons between the two are inevitable. To me, this book was really just entertaining. There wasn’t a lot of depth and the world building was very flawed, since a lot of history was piled in a history lesson midway through the novel. We don’t know a lot about America’s world. Dystopian literature really should be thought provoking and make you examine the world you read about and the world you live in, which The Selection didn’t do. At the heart of the novel, this is a romance, with a love triangle to boot. America enters the selection thinking things are over with Aspen, but doesn’t believe she could love Maxon. For this reason she is different from all the other girls, being honest and even mean to the Prince. This, of course, wins his affection, but soon Aspen reappears. The whole thing was a bit predictable, but it was fun. There were a lot of cheesy moments, especially with Maxon’s dialogue. 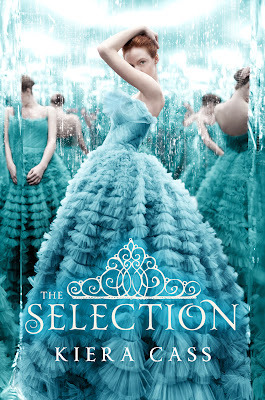 At the same time, The Selection was entertaining and enjoyable. If you’re the kind of person who likes books with love triangles and good looking characters, then you’ll find in The Selection a book that will make you swoon. Lemony Snicket is a clever thirteen year old who just graduated from a school where he received a very extraordinary education. Now he is apprentice to his new mentor, S. Theodora Markson. Theodora and Lemony are hired to solve a mystery of a missing statue in the town of Stain’d-by-the-Sea, which is no longer located anywhere near the sea. In this town, Lemony, accompanied by the worst mentor he could have possibly chosen, meets a variety of people, from a sub-librarian to a girl reporter. As he tries to solve the case, he asks all the wrong questions and even trusts the wrong people. But why would someone report something missing that wasn’t there’s in the first place, especially when it is of no value? Where are Lemony’s parents and who were the people with him at the train station? Where did he go to school and who has he been corresponding with? Before the Baudelaire orphans and before the VFD, Lemony Snicket was just a boy with his own story to tell. Lemony Snicket (or, Daniel Handler) is back with his new series, All The Wrong Questions, which will be told in four parts. In the first book we are introduced to a young Lemony Snicket, who is a resourceful detective who makes many mistakes throughout the book. 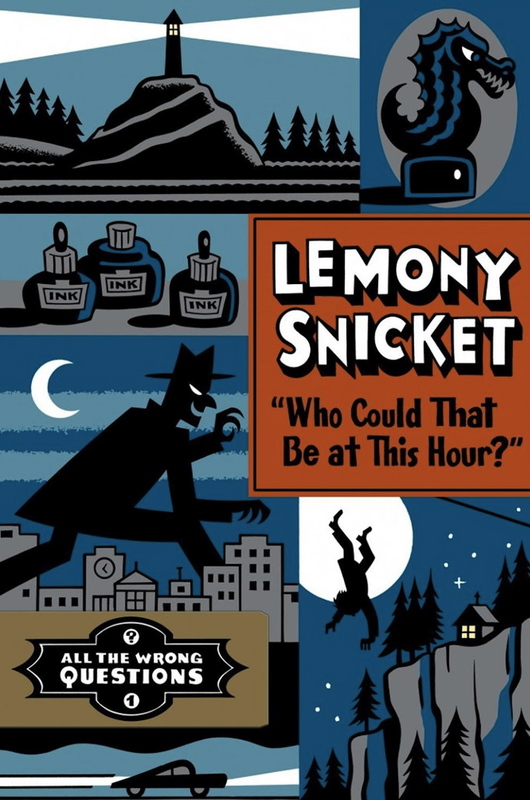 This book shows hints of the beginning of the writing style Snicket uses in A Series of Unfortunate Events, while still being told in a different manner altogether. Just like the illustrations are completely different, so is the entire mood and tone of the novel. While the Baudelaire’s story lead from one misery to another, Lemony’s is the same way with mysteries. Who Could That Be At This Hour was intriguing and even a bit confusing, in the best way. It reminded me a bit of The Mysterious Benedict Society, which I love. This book was different from A Series of Unfortunate Events, making it feel fresh and unique. At the same time, it also had similarities that will appeal to fans of the series, such as being a clever book full of big words and literary references, with perspective children and foolish adults. While fans of Snicket’s original series will enjoy the exploits of the young Snicket, you don’t have to even know who Olaf and the Baudelaires are to enjoy this book. The illustrations, by Seth, are very well done and tie in well with this mystery, and are more fitting to the style than Brett Helquist’s drawings, which I adore. Being left with so many questions was frustrating, and this book didn’t have the humour that A Series of Unfortunate Events had. 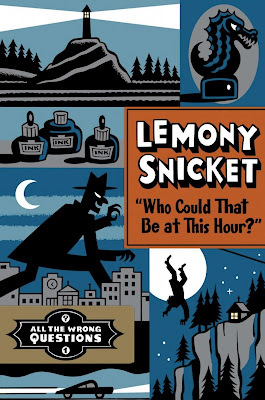 Overall, Lemony Snicket wrote a great book that both lived up to the series that brought his name to fame, while creating something original and fun to read. I'm writing this IMM from my hotel in Detroit, since we drove down for the weekend to go to my 78 year old Uncle's wedding (fun fact: he's remarrying his first wife.) America is sort of like Canada with some important differences, like there's no kinder eggs and apparently no one knows what Christmas Crackers are. And no one wears poppies for Remembrance Day. And, you know, some other stuff too. But they have something I love that we don't have: Barnes & Noble! Really, it isn't that much different from Indigo, but I just love it. I bought The Beatles: A Hard Day's Write (The Story Behind Every Song) by Steve Turner. I actually bought this as a Christmas present for my brother, who doesn't read my blog and hopefully won't start. I also bought two purple moleskines and You Against Me by Jenny Downham. I also took out The Last Last Council (Amulet) by Kazu Kibuishi from the library. I'm really liking these graphic novels so far, and I usually read them in the car, since regular novels make me car sick. I read this on the drive from Toronto to Detroit, and I thought it was the best yet! It reminded me a bit of The Empire Strikes Back. I also started volunteering at my library's little bookshop again, which means 50 cent paperbacks for me! I bought a 2011 Fodor's Guide to Walt Disney World, since the family is thinking about driving down to Florida over March Break, and taking me to the Magic Kingdom! And by that I mean they'll drop me off and pick me up, staying as far away from the actual park as they possibly can. I guess the happiest place on earth isn't for everyone. Evie O’Neil has always known that she is just too much for Zenith Ohio, and that couldn’t be clearer than when she has to leave her small town in a hurry after offending a powerful family. But Evie’s punishment could not suit her better: she gets to stay with her Uncle in New York City. The year is 1926 and Evie is a true modern girl, with her bobbed hair and bad drinking habits, prohibition be damned. Helping her uncle at his museum near Central Park, The Museum of American Folklore, Superstition and the Occult, Evie can’t help but be drawn to some of her Uncle’s interests, such as the belief in people with special abilities. For a long time, Evie has been able to read objects to learn personal things about the people they belong to. So far, this has just been good for party tricks (and for getting Evie in trouble) but when a young girl is brutally murdered and found in the Hudson River, Evie’s ability might prove to be useful. The murderer has used symbols from the occult, but nothing quite makes sense. As Evie immerses herself in the case while taking advantage of New York City, this quick talking, fun-having girl finds herself enwrapped in ghost story and a mystery. I first read Libba Bray’s A Great and Terrible Beauty nearly nine years ago, and fell deeply in love with it, and the following books in the series. 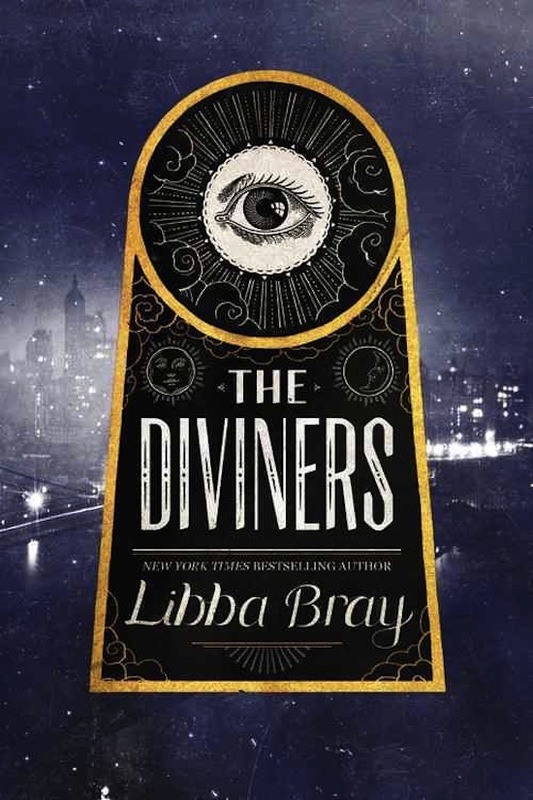 It was for that reason that I picked up The Diviners by Libba Bray, although the fact that it is a supernatural tale set in prohibition New York also caught my attention. Evie is a modern girl: a flapper who likes to party. Full of wit and hidden depth, she’s a great lead character. The narrative also looks into the perspective of many other characters throughout the story, and all of these characters felt full fleshed and convincing. Evie leaves her small town for the most happening place in the world, New York City. There she intends to make full use of the glamour and glitz of city life, but her special ability and connections manage to get her involved with solving a mystery. This book is a bit of a brick, at nearly 600 pages. For the most part it was quick moving and the bulk didn’t make it drag along or feel long. It was well written and clearly thoroughly researched, full of excitement and suspense even though the reader knows who the murderer is from the start. In a world full of people with unexplainable abilities, the world building in The Diviners was one of its strongest points. The characters and the setting also added so much to the novel. I do wish that this was a stand alone novel, because at this point I don’t really see the point of a series, unlike with The Name of the Star. I also thought that the story ended abruptly and that the end was not as strong as the rest of the book. This book is perfect for Halloween, since it was creepy enough to have me hearing every little noise in my house and feeling anxious. 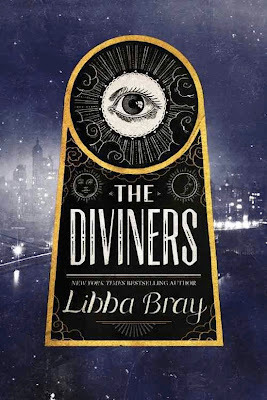 While, for me, nothing can compare to the Gemma Doyle books, The Diviners was a promising start to the series, set in a fascinating time period in a city where anything can happen.